Doreen Leo-Huneke, LCSW, founded Peaceful Mountain Counseling as a means to serve both her community and friends in Tennessee, where she currently lives in Sevier County full-time, and her community and friends in New York. She has many years of experience working with families, individuals and couples. Doreen has never been afraid to go wherever people need help including the front lines in the wake of the 9/11 tragedy in New York to the Western Heights Housing Projects in Knoxville where she helped women recover from addiction for over 5 years. Recent work involved correctional facilities and drug court work. Doreen is an Employee Assistance Professional and on the network for State of Tennessee workers as well as other companies. 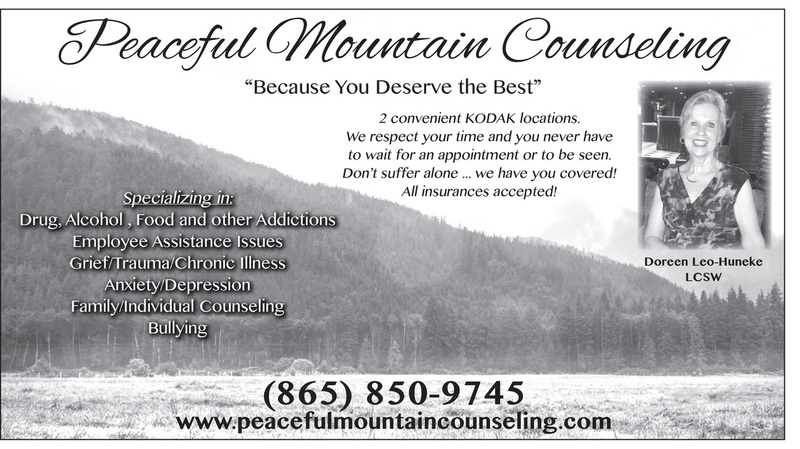 © 2014-2019 Peaceful Mountain Counseling. All rights reserved. This site is proudly powered by CMO Sync.